We believe that teaching your baby to sleep doesn’t have to be a stressful experience for you or your child. We tailor our services to the comfort level of the parents by providing gentle sleep options, so sleep training (or “sleep changing” as we like to call it) is a positive experience for all involved. We believe that sleep deprivation and parenting doesn’t have to be one in the same. With the right resources, sleep deprived parents can start experiencing the joys of parenting. We believe a well-rested baby is a focused and happy baby. And a happy baby can change the dynamic of the whole family. We believe that if we teach parents how to make sleep a priority, they will be making an investment in their child’s future. Study after study will tell you that sleep is essential for infants and children, both to ensure proper brain development and to minimize the risk of problems down the road with things such as concentration, behavior, and mood. Big Sky Lullaby sleep training services provide a customized approach that helps ensure successful outcomes, so all families have the tools they need to get the sleep they deserve. My promise to you is that I will work with your family until we reach the goals set for your child. Our methods are 100% effective! 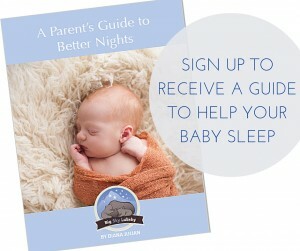 Read the Sleep Training and High Need Babies E-Book Today!